How do the Amish get along without electric lights or appliances, computers, power tools, or their own phones? This book examines the Amish response to technology. Also, the role of invention among the Amish. 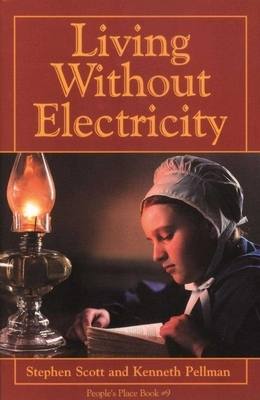 This book tells how and why the Amish live without inventions other people take for granted: How do you light a room without electricity? How do you keep warm without centralized heating? What do you do for entertainment when you don't have TV? How do you get around without a car? How do you communicate when you don't have a phone? Living Without Electricity explains how the Amish cook and store food, pump water, wash clothes, and even run farms and businesses. It describes the practices of other Old Order groups in the United States, Canada, Mexico, and several South American countries. Stephen E. Scott grew up in southwestern Ohio. He attended the Beavercreek Township schools. Cedarville College, and Wright State University. During a time of spiritual seeking, he attended many "plain" churches, including a variety of conservative Mennonite churches. Scott lived in the Amish and Mennonite community in Holmes County, Ohio, for a year. In 1969 he attended the Numidia Mennonit Bible School in Pennsylvania and the same year began two years of alternate service at Lancaster Mennonite High School in Pennsylvania. During this time, Scott joined the Old Order River Brethren Church, one of the consrvative Anababptist groups. In 1973 he married Harriet Sauder. While working as a researcher and writer for Good Books, he has written Plain Buggies, Why Do They Dress That Way?, The Amish Wedding and Other Special Occasions of the Old Order Communities, and Amish Houses and Barns. He is also the coauthor of Living Without Electricity.